Young Zachary is not so young today, in fact he’s just turned three, so it was all round to Charlotte and Rob’s for cake this afternoon. But what do you give a three year old for his birthday? 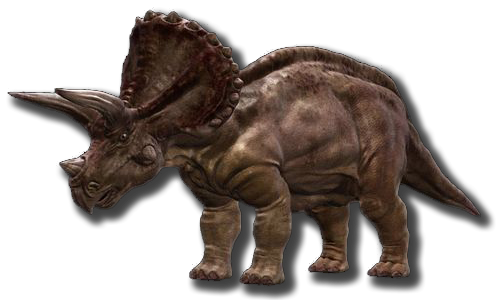 Well, Zach is a dinosaur nut, his favourite being the Triceratops. In the event, Zach actually chose his own presents, which were then wrapped and secreted away until the day arrived. So when he opened the parcels, a Triceratops model, a bucket of miniature dinosaurs and a book about dinosaurs, he was absolutely delighted. The combination of perfect presents, doting grandparents, a gaggle (if that’s the correct collective noun) of cousins, a few friends and a lovely yummy birthday cake seemed to hit the spot and there were a lot of fun and frolics had by all. In all, I think the age span of the party-goers was about 60 years. So many phases of the Wheel of Life represented. Birthdays are a regular reminder, I have one every year, just to be sure, of how time flows inexorably on. Before we know it, Zach will be all grown up and having children of his own, and so the wheel turns again. That might be jumping the gun a little, but when you think that Triceratops became extinct around 65 million years ago, although he’s still getting invited to birthday parties, our lives are just a blink of the eye in comparison. Previous What An Awesome Day !!! Next What If ?? ?